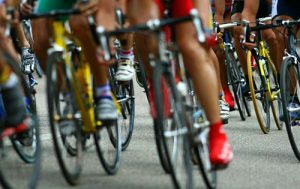 USADA announced today that Robert Baatz, of Lewisville, Texas, an athlete in the sport of cycling, has tested positive for a prohibited substance and accepted a two-year sanction for the anti-doping rule violation. Baatz, 48, provided an in-competition urine sample on March 12, 2016, at the Tour of Corsicana in Corsicana, Texas, as a part of the RaceClean Program that works to fight doping at the amateur level of cycling through close collaboration with USA Cycling, Race Directors and local Cycling Associations. The goal of the RaceClean program is to increase testing and education at the amateur level to provide greater doping deterrence. His sample tested positive for the presence of an exogenous androgenic anabolic steroid and/or its metabolites, which was confirmed by Isotope Ratio Mass Spectrometry (IRMS) analysis. Anabolic Agents are prohibited at all times under the USADA Protocol for Olympic and Paralympic Movement Testing (the Protocol), the United States Olympic Committee (USOC) National Anti-Doping Policies (USOC NADP), and the International Cycling Union (UCI) Anti-Doping Rules, all of which have adopted the World Anti-Doping Code (Code) and the World Anti-Doping Agency Prohibited List. After a thorough review of the case, including Baatz’s medical records, USADA has accepted his explanation that the substance was contained within a prescribed medication he was taking in a therapeutic does under the care of a qualified physician. However, Baatz lacked a valid Therapeutic Use Exemption (TUE). Baatz’s period of ineligibility began on March 12, 2016, the date his positive sample was collected. In addition, Baatz has been disqualified from all competitive results obtained on and subsequent to March 12, 2016, including forfeiture of any medals, points, and prizes.